You are here: Home » News & Insights » We win again! It’s always nice to feel like a winner! 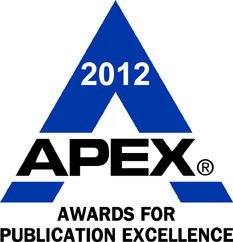 Last year, Baxter Communications received a 2012 APEX Award for Publication Excellence in the category Magazine & Journal Writing. The APEX Awards is an annual competition for publishers, editors, writers and designers who create print, online, electronic and social media. Business, non-profit, agency and freelance communicators can enter to win awards in 11 major categories for their best work. Every year, the APEX judges select Grand Award winners and bestow Awards of Excellence to runners-up. Since 2000, Baxter Communications has received numerous APEX Awards of Excellence, as well as one Grand Award for our Language Tips newsletter – the predecessor of More than Words. This new award was for the Shea Matters magazine that we produced for our long-term customer IOI Loders Croklaan. IOI Loders Croklaan is a leading supplier of oils and fats for the food industry. The company provides a broad range of specialty oils, fats and nutritional ingredients for specific market segments worldwide. Although IOI Loders Croklaan’s core business is palm oil, they’re also involved in the Shea industry, and wanted a one-off publication for a major trade event that highlighted their sustainable way of doing business in this sector and the benefits of their end-to-end supply chain. The result was Shea Matters, a 36-page full-colour magazine that covers every aspect of the Shea industry – from the tree to final products – and IOI Loder Croklaan’s involvement in it. This communication tool is proving to be extremely interesting and informative for IOI Loders Croklaan’s customers – and therefore valuable to the company. Fragments – jolly or jerky? Our free quarterly email newsletter about global corporate communications in English. Have a look at the current issue or sign up to receive it.